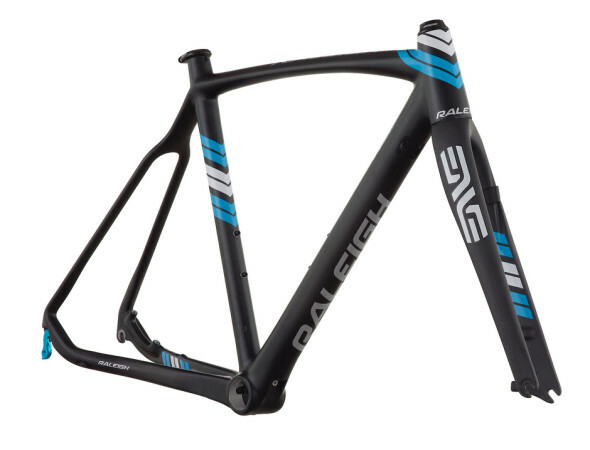 Win a 2014 Raleigh RXC Pro Disc Carbon Cyclocross Frameset! Raleigh USA places great importance on the sport of cyclocross, and over the last few years, has greatly expanded is cyclocross bike options, created a professional team (in conjunction with Clement), powered SSCXWC to new heights, and has given away some sweet prizes to Cyclocross Magazine readers, including a trip to the 2013 Worlds. 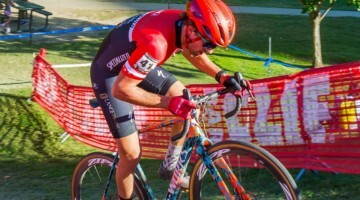 Now the Kent, Washington-based company is up to it again, teaming up with Cyclocross Magazine to give one lucky reader a RXC Pro Disc carbon cyclocross frameset, valued at $2200—the very same cyclocross frameset (with an ENVE disc fork) that USA Worlds Team member Allen Krughoff and his Raleigh-Clement teammates raced this season. The carbon disc brake frameset is ready for any cyclocross action you can throw its way, from local grassroots racing to World Cups and World Championships. Entering for your chance to ride the same frameset as Ben Berden, Jamey Driscoll, Caroline Mani, Allen Krughoff, Craig Etheridge and Rebecca Gross is super simple: Just accurately name two of your favorite Raleigh cyclocross or gravel bikes. Don’t know any exact model names? 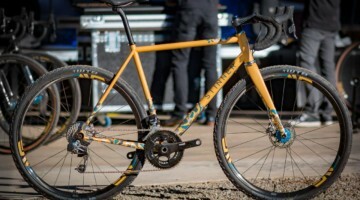 Check out Raleigh’s vast selection of cyclocross bikes and gravel bikes on offer, or see some of our coverage from the Raleigh launch last July. Motivated to win? 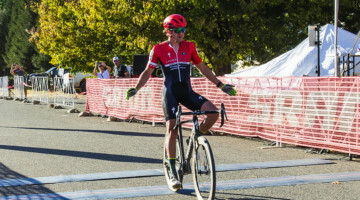 You can receive up to 28 additional chances to win the $2200 Raleigh RXC Pro Disc frameset, simply by following Raleigh and Cyclocross Magazine on Twitter or Facebook, Tweeting about this contest, signing up to get fun product announcements from Raleigh, subscribing or renewing your subscription, or by getting a friend to enter. Enter before Tuesday, 9:00 p.m. EST after Worlds, February 4, 2014. Winner will be announced by February 6, 2014. Pass. I just got a Boone. Too bad it doesn’t come in a size small enough for my gal. jscholbrock Krughoff I figure if I get the same frameset I’m like 95% there, right? What if I renewed a couple weeks ago? Michael, then you are our hero because you don’t need swag as an incentive to not procrastinate any more. You could renew again..we’ll just add it on if you really want more entries, but you can also get more entries just by sharing and having friends enter (yeah, we know, that lessens your chances but maybe you can borrow it).